by Turks, then returned to Georgia 300 years later. 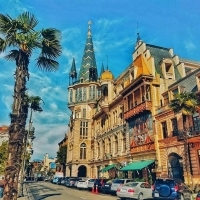 Batumi, the major city of Adjara, is one of the loveliest in Georgia. It was built at the end of the 19th and in the beginning of the 20th centuries in a grand, elegant style as a resort for the Russian emperors. 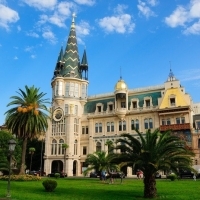 There are fine classical buildings designed and built by Italian and German architects, lots of palm trees, exotic flowers - the jewel of the Georgian Riviera. 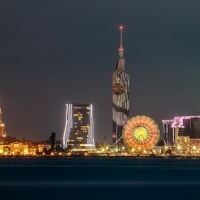 Batumi is a major port and resort city. 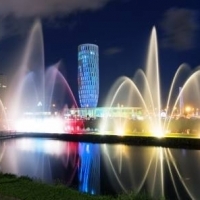 Batumi Boulevard, the main promenade with fountains and cafes, attracts numerous holiday-makers with its greenery and central location. 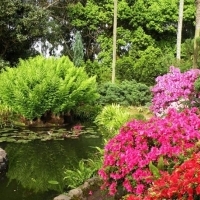 The Botanical Gardens, near Batumi, has unique species of plants from various parts of the world. Adjaran resorts are known all over the world. 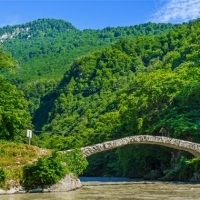 Kobuleti, another delightful vacation spot of Adjara, where the sea, forest and abundant places for entertainment create the best conditions for holiday makers. 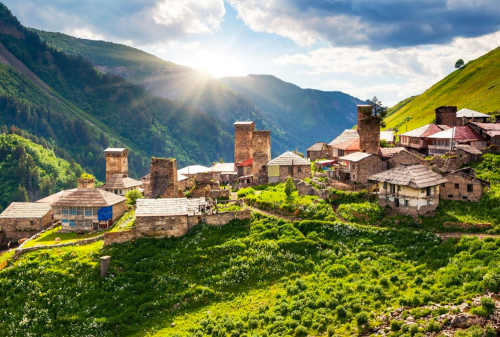 Kobuleti in the summer-time is party, party, party! 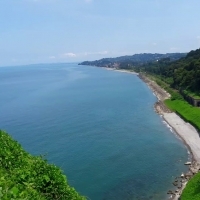 Ureki, nearby Kobuleti, is known for its medicinal magnetic sands to treat children's physical ailments. Adjarian Khachapuri with baked eggs and cheese, and Achma, a delightful layered cheese pie, Adjarian meals should certainly be tasted, as they are most unique and delicious.